Share the post "About Philippa Willitts"
Philippa Willitts is a freelance writer, proofreader, copyeditor and journalist, available for hire. She helps businesses to tailor their website content so that it gets maximum search engine exposure without compromising on the writing style. She can provide up-to-date and well-researched regular content for blogs to engage readers and customers; and she has a particular interest in content marketing, providing long-term customer-focused website content to ensure that customers find your site and, through reading your blog, recognise your specialism and authority. Philippa Willitts is also a journalist, writing mostly on health and disability and women’s issues, with an additional focus on women in business. She has a weekly column at Global Comment where she writes on a social justice or political issue each Friday. .
She has been published on the Guardian, Independent, Channel 4 News and New Statesman websites, xoJane, the Daily Dot and more and is also a skilled writer of SEO content, blog posts, commercial copy, press releases, case studies and web content. On the ‘other side’ (the commercial writing arm) of her job, she manages the weekly production of multiple blog posts for a range of clients, working, too, on more one-off pieces of work such as creating website copy and researching and writing case studies. On occasions, she manages clients’ social media accounts and contributes to strategic social plann conversations. She can also ghost-write articles for those who do not have the capacity to write their own content and proofreads the work of both businesses and individuals. Her specialist areas are health and disability; women’s issues; and digital marketing, especially on the subjects of social media, SEO, content marketing, internet security and internet marketing. She has a particularly geeky love of writing about computer password security. 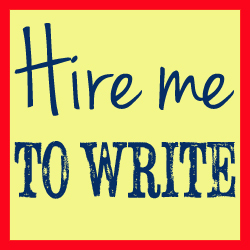 On this site, you can find details of her freelance writing and rates, her proofreading and copyediting, frequently asked questions, and contact details. The rest of her website is written in the first person. She’s never quite sure why About Pages tend not to be, but it was one trend she decided against bucking.